Our major trading partner has special vices. Naturally I’m thrilled that we export masses of coal and iron ore to China, so they can make steel and stuff to send back to our clever country. That’s what economists call comparative advantage, which drives world trade, and that’s what you get when China does manufacturing much cheaper than us (generating heaps of greenhouse gases too). And, selling Cubbie Station, our biggest agricultural property, with a huge appetite for water for cotton growing at the headwaters of the Murray-Darling basin, to Chinese state-owned corporations makes perfect sense too. Particularly as Federal and State governments finally agree to rehabilitate our main river system. We are compliant partners indeed of Chinese trade and investment. The drastic environmental impacts of China’s industrialisation were canvassed by Ross Gittins recently in a review of the government’s white paper on the Asian Century. The burgeoning affluence of its vast, emerging middle class also poses serious threats to wild animal populations. Decoration and so-called traditional Chinese medicine (TCM) are dramatically depleting them world-wide for use in objects or concoctions. 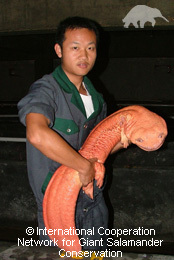 TCM uses 1,000 plants and 36 animal species, including endangered tiger, rhinoceros, giant salamander (world’s largest amphibian). 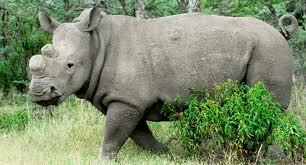 Asiatic bear and Saiga antelope are used in herbal tea, and rhino horns to treat fevers & delirium. Black bear bile is harvested to make cures for liver ailments & headaches. The world’s oceans are also plundered, from common sea cucumbers (beche de mer), shark fins and endangered sea horse to giant manta rays. The ray’s gill rakers are thin filaments that filter food from water, and are believed by TCM users to boost immune systems, cure chickenpox and even cancer. They fetch $250 per kg. The global population of manta rays has declined 30% and is vulnerable to extinction. Against this background it’s grossly ironic that we now have scientific evidence about the ingredients of TCM concoctions, which shows that they are also laced with toxins and heavy metals, along with endangered species. A heady Chinese cocktail indeed! The rapacious pillaging of our remaining wildlife for dubious ends makes it doubly tragic. Chinese concupiscence combines several deadly sins, and will end badly for humans and wild animals alike. Thinking global and acting local, Kookynie is fighting back. To safeguard the world’s sting rays, after the inevitable extinction of manta rays, Kookynie Aquarium has instituted a ground-breaking conservation program. Yeah, we had to dig out the creek a bit, and add some salt to the water to make it more oceanic, but the little rays have grown big and healthy. Naturally KC is a major sponsor, and the editor helps with feeding. No exports to China here!